Some are coming directly from Damascus, Aleppo and Deraa; others come from the refugee camps in Jordan and Lebanon, where conditions have become so bad that many areconsidering returning to their war-ravaged homeland. But most have come from Turkey, where they have tried but failed to make a living for months or even years. 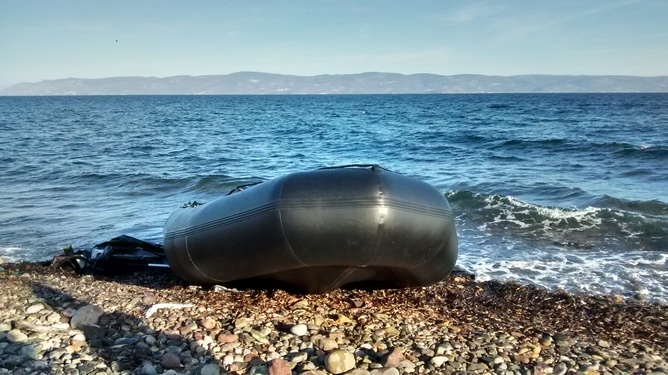 Research my colleagues and I are conducting on the Mediterranean migration crisis has found evidence that the Turkish authorities are trying to prevent people from accessing the coastline or even pushing them back to the shore once they are on the water, with potentially deadly consequences. Reports about push backs by both Turkish and Greekcoastguards have been circulating since mid-2014 but seem certain to increase. The baby I saw being buried was not the first to die – and he certainly won’t be the last. Two days after his funeral, I spent the day at the beaches in the north of the island where the refugee boats mainly arrive. Shortly after I arrived I was told that three people – at a woman, a child and an infant – had drowned the previous evening when the boat they were travelling in flipped over in the water.